Well, folks, Chime in here. feel about zombies and vampires in inspy writing. Think about it before launching into your ideas. Really give it some thought. Is it reaching teens in a good way? 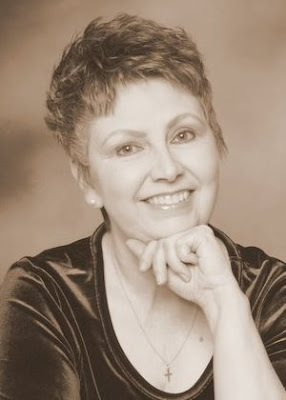 A special welcome to Deborah Harper, author of the Laramie on the Lam series. Hey, Deb, tell us a bit about yourself. Hi, Linda. Thanks so much for having me today. I took an early retirement from a Michigan school district and accepted an invitation from my middle child and her husband to move in with them about six years ago. He’s in the Air Force and we’ve been on Elmendorf AFB here in Anchorage, Alaska for the last two and a half years. I’ve been so blessed not only to be able to live with them, but also to be retired and able to enjoy the different places we’ve lived, travel to see family members, and write to my heart’s content! I have three married children, four grandsons (and two more on the way—one a boy, the other still a mystery). Life is so good! What prompted the series Laramie on the Lam? I’ve written for years (and years and years). I’ve had two different newspaper columns, been published in some anthologies, and done a lot of work online. As a result (as with most writers), I have a lot of material that’s never seen the light of day. Laramie on the Lam was one of them. One day our agent, Terry Burns, posted a call for submissions for ongoing YA books with specific themes from Echelon Press. Laramie was just sitting on my hard drive (doing nothing to earn his keep), so I decided to give it a try. Echelon accepted my proposal and the eBook series, Laramie on the Lam, was born. Yes! I was very fortunate to be a finalist in the Jerry B. Jenkins Christian Writers Guild 2009 Operation First Novel contest (say that three times real fast!) with Misstep, an adult humorous Christian novel. I didn’t win, but I was thrilled to meet Terry Burns from the Hartline Literary Agency at the conference. Terry asked for my proposal and passed it along to you. We had a blast whipping it into shape for his perusal. He accepted it, I became his client, and Terry has it out to publishers now. The strange folks in Road’s End, Virginia (the setting of Misstep) have become very near and dear to my heart. They decided that while Misstep is making the rounds, they wanted me to write another book, so Faux Pas is my current work-in-progress. Road Enders will get into even more trouble than they did the first time around. How do you manage to get that special twist of humor in your stories? I’m a little twisted myself. I believe most people like to chuckle over the crazy things they find themselves doing— particularly if they recognize themselves, or folks they know, who are not only quirky, but genuinely good people. And of course, humor relies on a certain amount of exaggeration, and that’s what I’ve tried to do with Misstep and Faux Pas. I like to write about good folks in strange circumstances who make the most of things, given their individual personalities and life experiences, and are still, in the end, able to laugh at themselves. Overall, however, I want to relay the message that it’s never too late to accept Jesus Christ and that even longtime Christians make mistakes, get cranky, and find themselves in hot water. Laramie is a little different because he’s only eleven years old and I have to keep my humor in the realm of his life experiences. Frankly, it’s more difficult for me to write for children because I love irony and that’s a little tougher to pass along in a children’s book. But exaggeration comes in handy, particularly in a kids’ adventure series, and it will play a big part in Laramie’s adventures. For the most part, my ideas spring from names—of characters or towns, for instance—that pop into my head when I’m not looking. 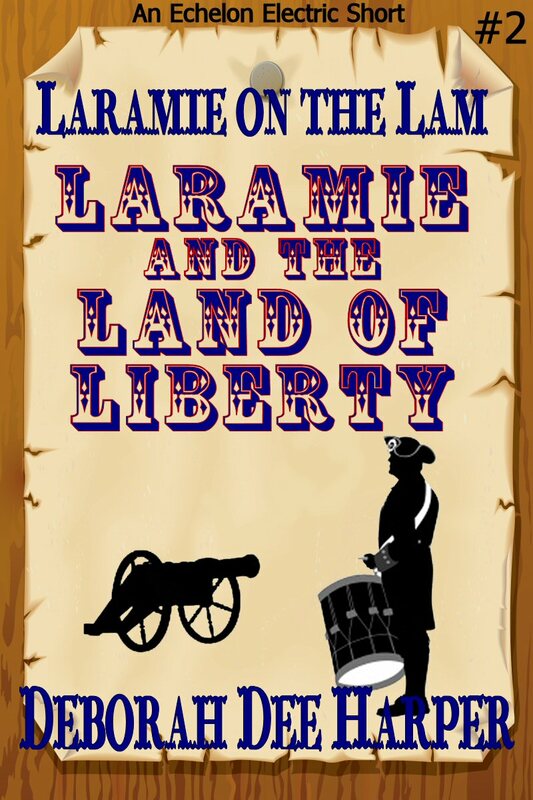 One day it occurred to me that Laramie Wyoming would make a great kid’s name (and of course, he’d have to live there, as well). That name seemed to call for an adventurous boy, one who would find himself in deep trouble with bad guys. What do a camel, oldtimers, bad guys, and Christmas all have in common? I can tell you right here. I've had the privilege of reading Misstep, and I couldn't put it down. It's one of those stories where you have to change your bloomers halfway through because of all the laughing. Misstep came about from hearing the words “Road’s End, Virginia” in my mind. It seemed like a good location for a group of senior citizens who lived in a small town that was accessible by only one road that led both in and out—literally at road’s end. I thought about the kind of folks who would live in such a rural, out of the way setting, and the characters were born. Deb, thanks for stopping by. How about telling us one last thing about yourself we might not know from your books. I love photography and astronomy. Both help me to appreciate the vast array of gifts God has given us “just because.” He didn’t have to give us 339 species of hummingbirds, but He did! He could have created just our solar system (or galaxy, for that matter) which would have kept us enthralled forever, but instead, He gave us hundreds of billions of galaxies, each containing at least 100 billion stars! There’s no limit to what He’s given us. Photography and astronomy (well, looking at pictures of our universe and reading facts—I’m no expert, by a long shot), are two ways I can remind myself and others of His unbelievable generosity. And would you mind sharing your blog and/or website with us? I'm sure lots of folks would like to stop by and visit! The second, http://deetrails.blogspot.com/, is all about taking a closer look at God’s gifts—those tiny things along the way that we might overlook in the vastness of all the other wonderful things He provides along the trail. I use my own photography in both of these blogs. The third blog, http://www.laramieonthelam.blogspot.com/, is especially for my Laramie on the Lam readers. I’m also on Facebook https://www.facebook.com/#!/profile.php?id=1553465645 and Twitter @deborahdeetales. Thank you so much for having me on your blog and letting me share my thoughts and my work with your readers. Are you going to a conference this year? Conferences offer so many opportunities for writers. You can network by meeting all sorts of new people. At some you can meet with agents, editors, mentors, best-selling authors. and attend some of the same classes offered by the larger conferences. If the budget allows, do your best to attend a conference this year. a free-will offering for a good speaker. Don't miss the chance to learn from others. How are you going to prepare your work? Grammar and spell check alone? A new and quickly expanding move in the writing industry is to self-pub or print independently. Is this a course you might be considering? the girl is marketing savvy! And a lot of mistakes are overlooked by the reader when you offer the right topic to the right group at the right time! What prepares a self-pubber’s work? Relying on the computer to write it for you won’t get you very far as we’ve seen in some other self-pubbed work. Then who does one go to for help? Cousin, hair stylist, next-door neighbor, on and on. Any family member or friend is not going to give you a bad review. They'll be impressed that you can string two intelligent words together. If you have tough crit partners, you should see comments and suggestions even after you send them the final copy. Only have crit partners who will treat you as though you were a paying project and they were editors. If your grammar and punctuation are difficult at best, get an editor. Someone who, for a reasonable price, can help you “put your affairs in order”, because that’s what you’ll be doing for your career IF YOU DON’T GET HELP! So, you’ve decided to go indie or self-pubbed? Good luck, be smart, and do it right!